This one is quite a close run thing. 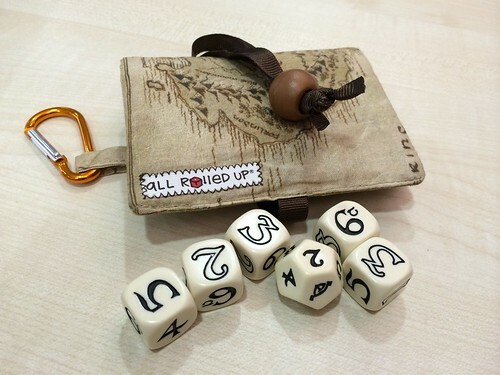 At the moment, I'm kind of in love with the set of dice for The One Ring RPG that I bought at Continuum the weekend before last. 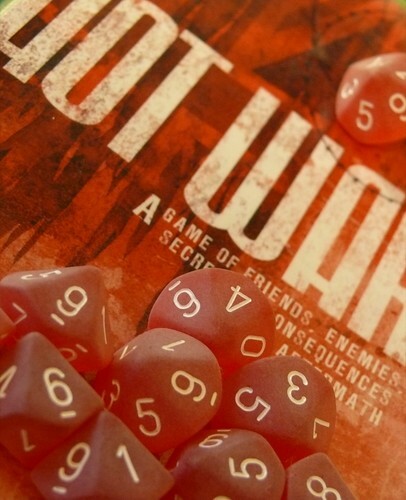 However, the ones I really like, and have done for a long time, are the sets that I bought at one Furnace that match the covers of Hot War and Cold City nearly perfectly. I should give a shout out to Elaine McC as she's the one who egged me on to get them when I was procrastinating!